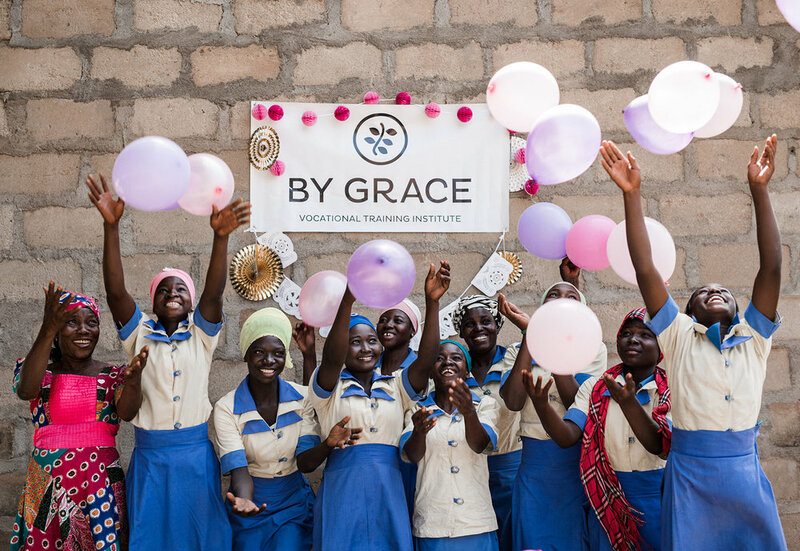 The By Grace Foundation is a 501(c)(3) non-profit empowering women through education and enterprise. 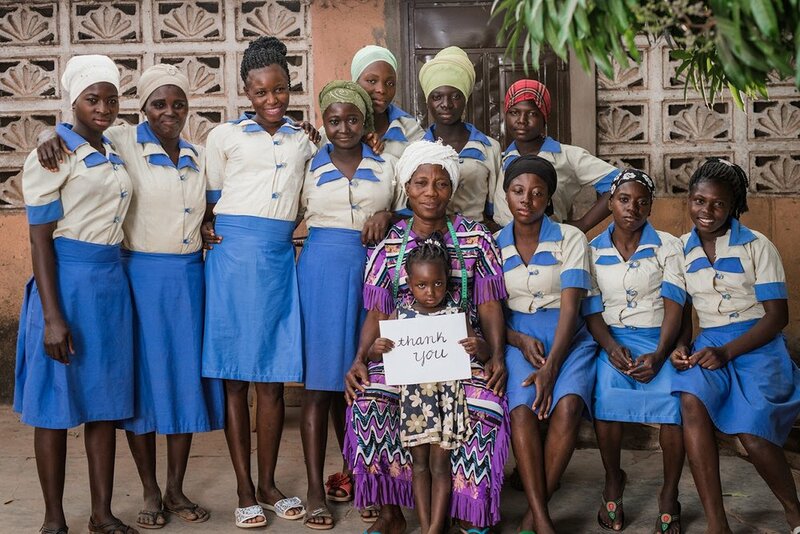 This donation employs women at the By Grace Rosebud, India or Ghana campuses to make products. Each woman lives in an impoverished area of the world. This includes employment of the women making the items, local supplies vendors, instructors or educators and the campus relationship manager. Why employment instead of charity? Dignity and value are restored. Work and worth go hand and hand. Enterprise is the sustainable approach to eliminating poverty. To read more about the women that we work with read our mission page here. This educates a woman at the By Grace, Rosebud or India Ghana campus in a trade skill. In many communities across the world, women are unable to afford the training and supply fees to learn a valued skill such as sewing or beading. This gift provides the woman from extreme poverty with the ability to generate an income and support her family. This donation pays the educator's fee (training is conducted by a woman), necessary supplies (such as sewing machine or beading kit) and certification fees. When you educate a woman, you change a generation. She is able to feed her family and pay her children's school fees so that they in turn can get an education. To read more about how this has impacted women's lives read more on our mission page here. Environment communicates value. We invest in our workshop spaces so that each woman has a clean, safe and beautiful area to work. No more broken windows or dirt floors - we believe our women deserve access to a dignified working environment. It's not just a workplace, it's a home. Our women create lasting friendships in the workplace. Often, home is not a place they want to return to - this is a place of retreat. Needs for each include: work tables, chairs, organizers, lamps/lights, bookshelves, painting and curtains. Internships are not easy to obtain, especially when you're a woman from the Rosebud Reservation, one of the poorest counties in the U.S. We conduct a mentorship program where we partner young women from the Rosebud Reservation with college students and young business professionals across the U.S. Through these mentorships and internships, young women on the Rosebud Reservation learn job skills including email communication, meeting deadlines, writing a resume, project management and agenda planning. Not sure where to give? Pick a location and we'll designate it to where we need it most! By Grace Ghana class of 2018. Our women say, "We pray that God richly blesses the person who did this." Thank you for giving! Special thanks to Stinson Leonard Street LLP for donating legal services. We are grateful to the following attorneys for their generous contributions in the form of legal services: Todd LaSala (real estate and contracts), Derek Grutsch (corporate finance), Elizabeth Tassi and Colin Turner (intellectual property and technology), Sara Welch (labor and employment) and Charley Jensen (nonprofit tax).